Passenger side clamps must be a super, SUPER rare find... I can't remember the last time I saw one with a mirror on the passenger side. 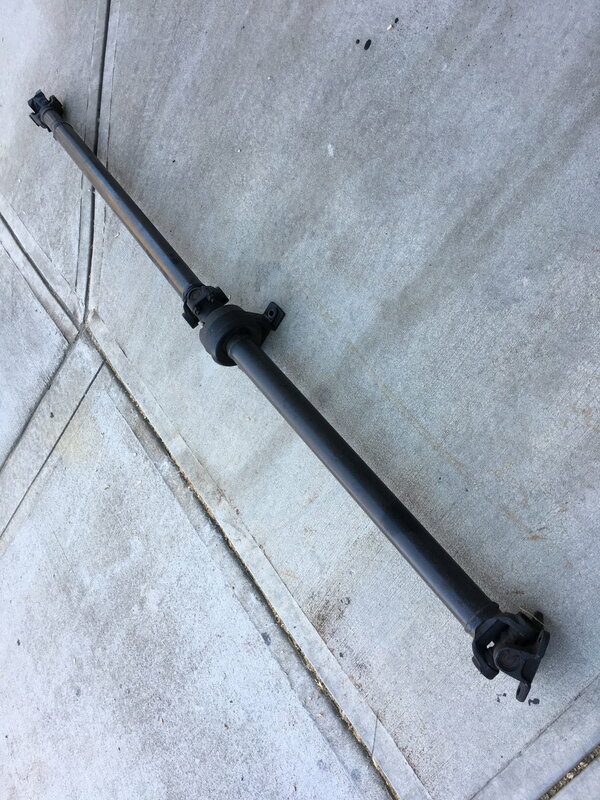 I have a Timken rear end assembly and driveshaft for a 1951 F3 truck that I am not going to reuse. 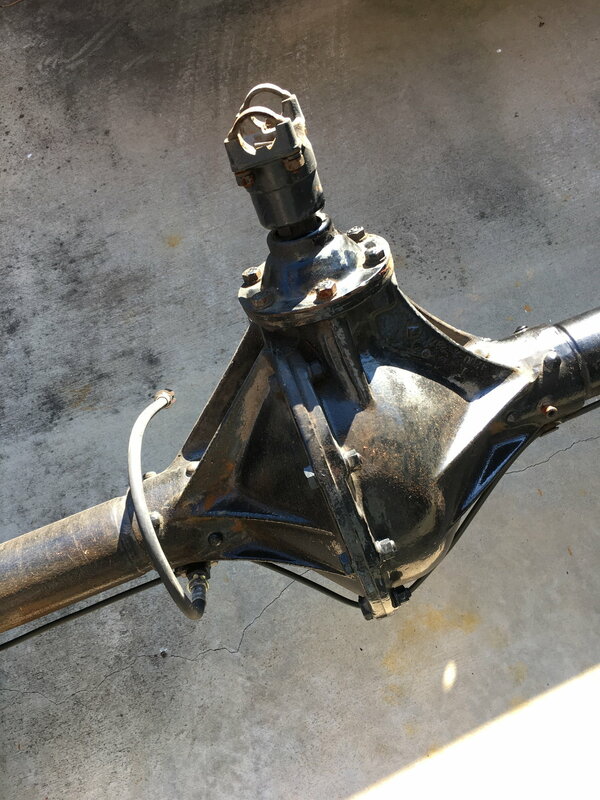 I also have a couple of rear frame cross members that I removed that are in very good condition. I do not know the condition of the rear but it looks to have been rebuilt very recently. I bought the partially restored truck to use as a resto rod. I am in NC about 30 minutes north of Charlotte. I am not interested in shipping the parts but don't mind figuring out how to get them to you. I drove the truck for a while before taking the parts out and there are no obvious issues. The brakes work and don't leak. It looks like the brake lines and slave cylinders are all new. The rear operates smoothly and doesn't make any noises. There is evidence of oil at the center join between the diff halves so that might new re-sealng or a new gasket. As I said I am not going to use the parts. I really don't know what they might be worth but if you can use them make me a reasonable offer. Please PM me so that I don't miss a post in this thread. Thanks. Looking for F1 pedals and the cross member. Willing to ship to 31535 GA? Might be too costly to ship cross member. Possible to pickup if within a reasonable distance . How much do you suppose you'd have to have for them? Can you get a shipping quote to GA 31535? 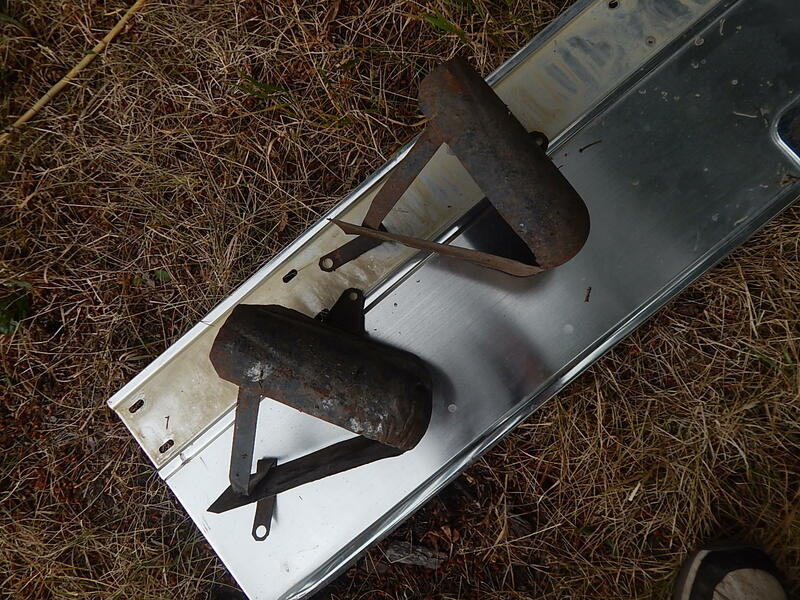 Have a couple manifold heat shields for a flathead six. PM me for details. Looking for a better price on a Y block alternator bracket for a 239 if anyone has one laying around. Just a suggestion for some of you posting on here, when you are replying to someone you should quote whoever you are replying to...makes it less confusing.. Anybody have a good set of lower front fenders that they would be willing to sell? 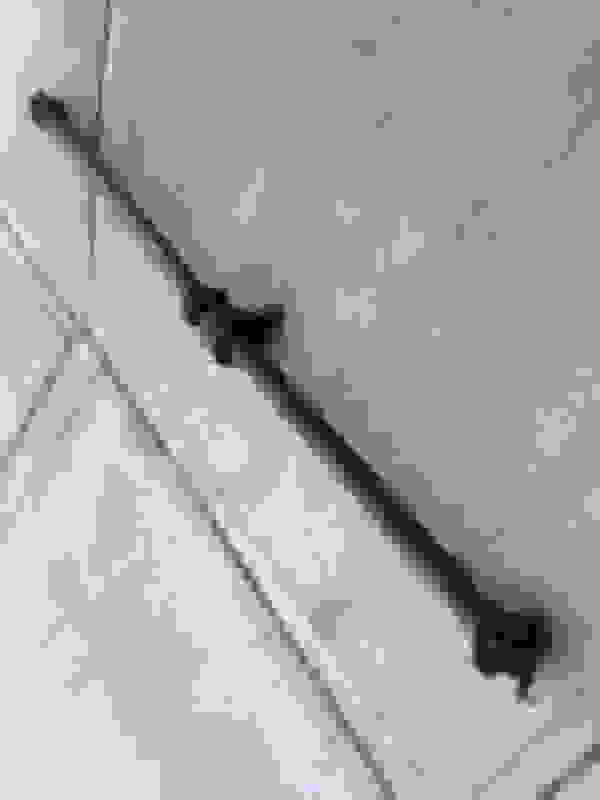 These are the ones that have an opening to go around the frame horns (see sample pic below). I can buy new (reproduced) for 500 but was looking for a more original, cheaper option. Thanks! 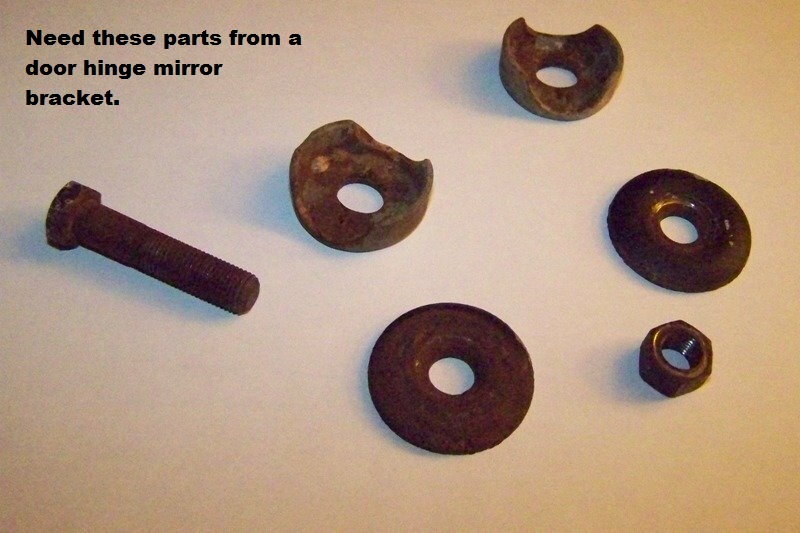 Am still looking for these parts that go to a side mirror bracket. I have the bracket, just these the clamp parts that hold the mirror arm. Last edited by pineconeford; 10-18-2018 at 06:39 PM. Reason: Got the parts - thanks guys! Hate to post it here since it's tangential at best, but i need a new set of inner fenders/splash panels, and i can only find '51/'52 panels, which all sources list as a differnet part. 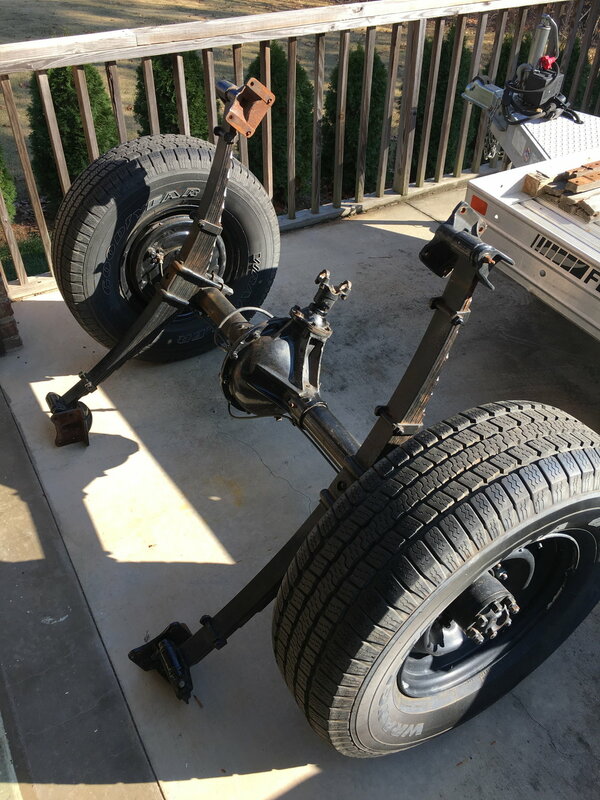 Can these be used on '48-'50 trucks? 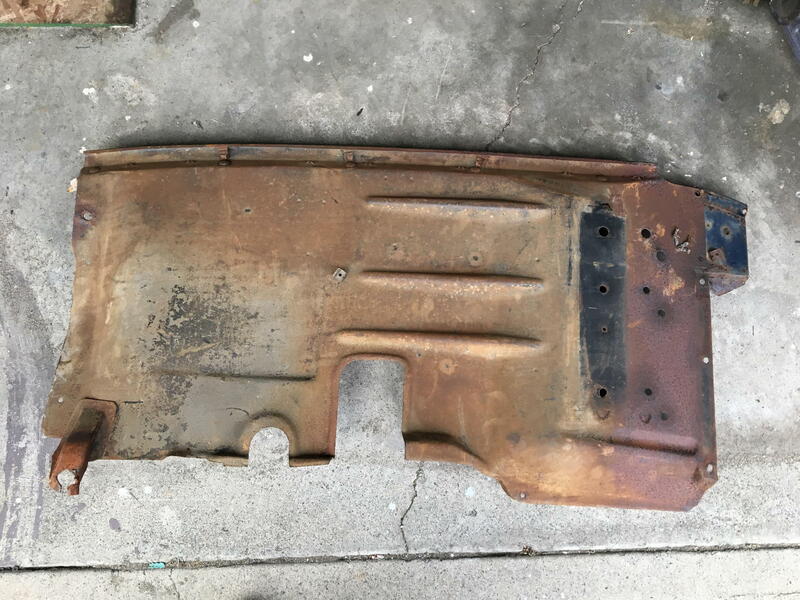 This is the panel in question, looks like a '51 since it still has the lower frame mount tabs. Comparing it with the ones i have i'm not seeing any significant differences. But i don't want to spend money on a dud i have no use for. I'm going to town on Tuesday so i really need to know by then. Has anyone tried fitting them to the older trucks? Steve, the inner fenders from the 48-50 and 51-2 are definitely different and won't interchange. The difference is ahead of the fender braces where the front of the fenders and grille attaches. 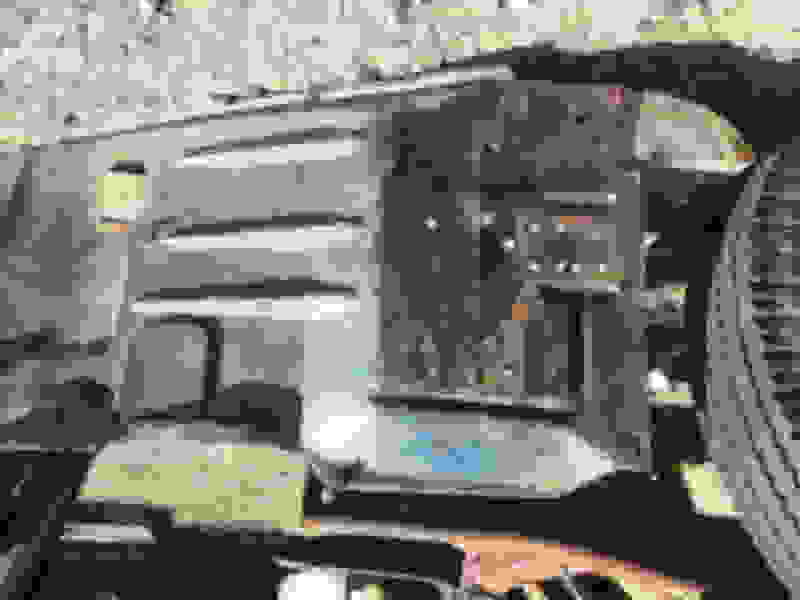 The early parts are longer and have a different shape to fit the different shape fenders and grille. Here's a 48 inner fender to compare to.